It is vital to have good Credit Control staff in place, particularly for small to medium-sized businesses, which are always hit the hardest during tough economic times. Much of the work done by Credit Control teams involves recovering debts and outstanding payments, and this is becoming an increasingly essential task. Read more to learn about why getting your Credit Control recruitment right is so important. Many customers are more determined than ever to get value for money, while clients are more cost conscious than ever before and banks are less willing to lend money to cover any shortfalls. All of these factors mean that businesses without a highly skilled Credit Manager, Credit Controller or Collections Officer are in danger of falling by the wayside. While these are all good indicators of what a successful Credit Control professional should be, every business is searching for something a little bit different. This is where Portfolio can help, as rather than adopting a set strategy we tailor our credit control recruitment approach to fit the needs of each individual client, helping you find exactly what you need. For instance, you may be looking specifically for someone who will be good at talking to clients on the telephone, or if you are undertaking Credit Manager recruitment then a Chartered Institute of Credit Management (CICM) qualification and a strong track record is likely to be high on your agenda. Whatever you need from your credit control recruitment, Portfolio can help. Upon registering with us, you are assigned a dedicated consultant who will assist you throughout the process. They will select the most suitable candidates from our pool of talented professionals and speak to them about your vacancy before deciding which ones to send through for interview. This ensures you only speak to the most credible candidates, without wasting time on interviews with people who are not suited to the role or your company. It also saves you the trouble of working through a large pile of CVs, using time that would be better spent looking after the day-to-day running of your business. 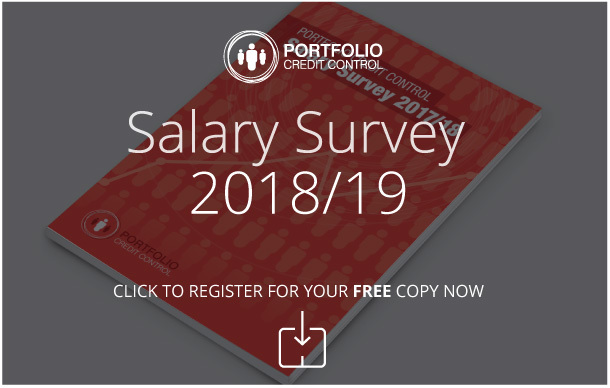 Of course, if you are a jobseeker looking to get started in credit control, or an experienced professional looking for a new challenge, Portfolio Credit Control will be able to match you up with a range of jobs that suit your skill set and location. If you’d like to know more about how we can help, contact us today on 020 7650 3199.